It can be difficult to pinpoint the strengths of a signal across different outdoor locations, so we decided to build a WiFi router locating system that would direct us to the closest and strongest router. 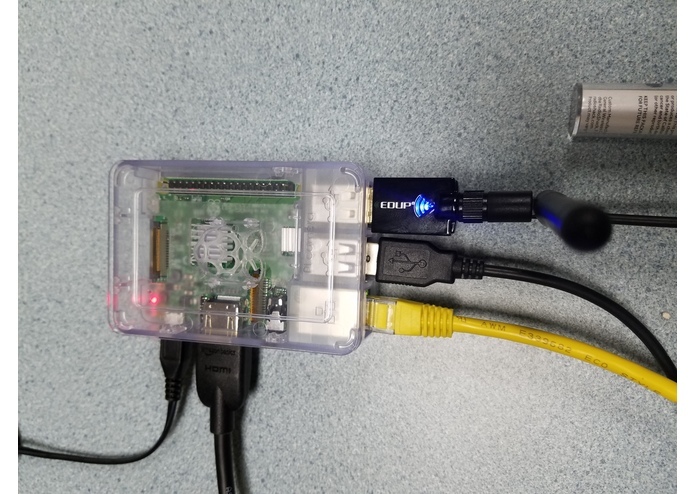 Using a directional antenna and custom software to analyze signal strength, we were able to develop an algorithm that would use gathered, real-time data to search a 3D Space for routers. 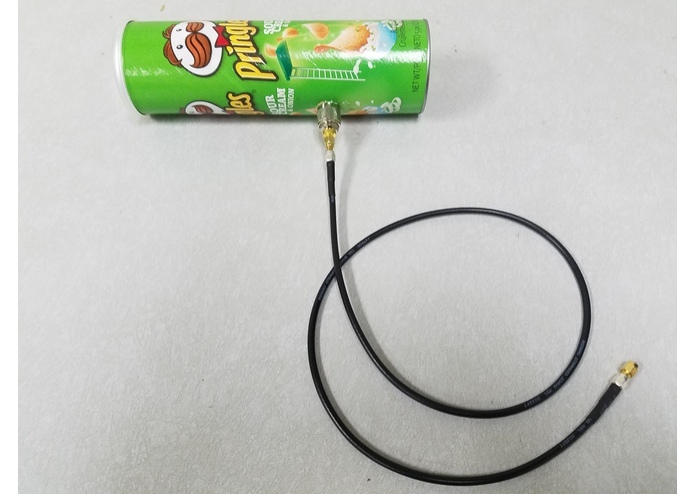 Hardware: Equipment: Coax Cable, Pringles can, RF connectors, Raspberry pi, WiFi Dongles. 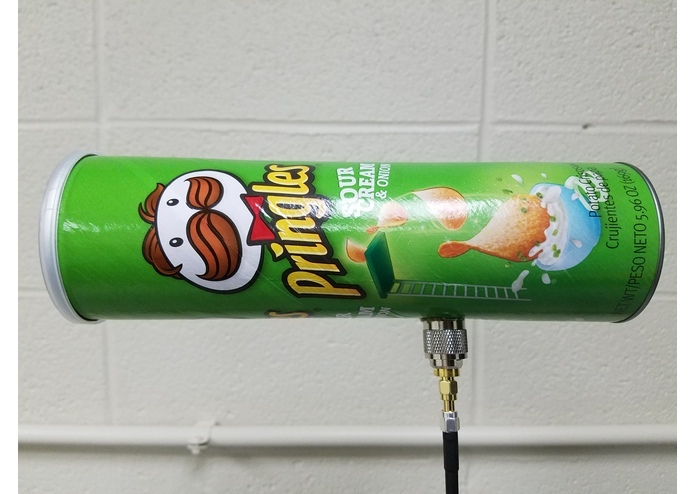 A high gain antenna was built using an empty Pringles can to directionalize a small custom WiFi antenna. This was then connected to the WiFi Dongle using the Coaxial Cable. Software: Used: Python, Terminal Developed software to collect and analyze signal strength of WiFi in order to give lines of bearing toward the strongest signal source. The length of the copper wire required an exact length to properly collect the WiFi signal, which transmitted at 2.4 GHz. This was calculated, cut and soldered to the RF connector. 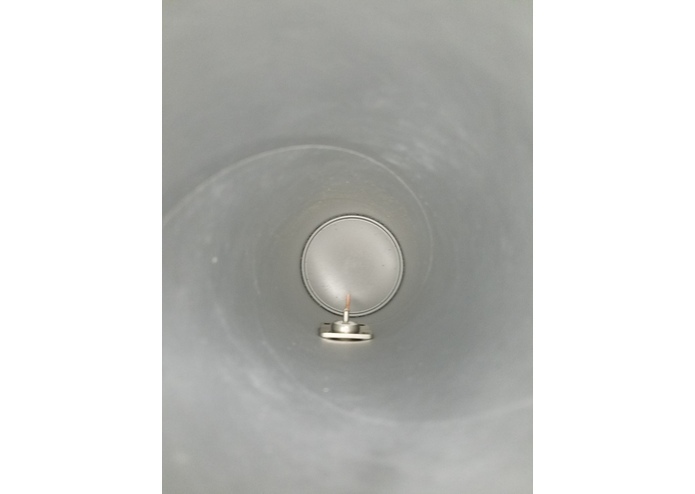 Different lengths were tested to ensure optimal collection. The Raspberry Pi was set up to function as a WiFi access point. This required extensive terminal commands and changes to existing functions already in place using the Linux based OS. The algorithm used to interpret the data required data to be heavily cleaned and exported into a format that could be interpreted autonomously by the executing program. The challenge presented was that the data needed to be averaged and manipulated to determine an optimal search direction. Being able to overcome the obstacles that we faced, using only research that we gathered overnight and past knowledge. Data Manipulation, Terminal Command line, TCP/IP Network Authentication, Port Forwarding, Direction Finding, and Python. Incorporating Wireshark in Kali Linux to intercept packets while direction finding. Applying more pruned algorithms and statistics to search more quickly and effectively.